Turn the player so you’re looking at the right side of the unit. Near the lower end, level with the touch wheel, is the "Power" switch. Push that switch upward and hold it there for ten to fifteen seconds. You’ll feel the unit’s drive tick over and the screen will go dim. Release the switch – the unit is now rebooting and should return to normal order within the next 30 seconds. 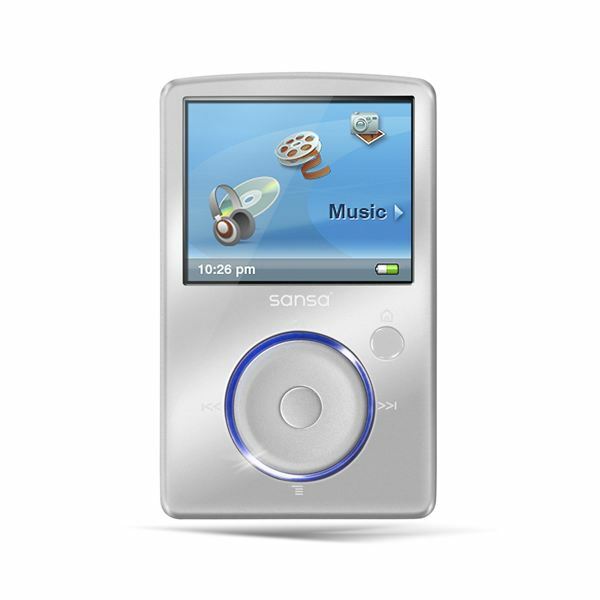 If for some reason you want to clear all the data on your MP3 player, you can also perform what’s called a "hard reset" or "factory restore." This option is for owners wanting to sell their Sansa Fuze, or as a last resort when you suspect your data has become corrupted during playing or transfer. Be warned! This option will permanently wipe all your media, and return the player’s settings to the way they were when you first took the player out of the box. To do a hard reset, open the menu by pressing "Home/Menu." Choose "Settings," then "System Settings." Scroll down to "Reset Factory Settings" and select this option. You’ll be asked to confirm the operation: the default answer, for your protection, is "No," so if you really want to do this, scroll to "Yes" and hit "Select." Your player will commence the reset operation, which may take up to a minute. Don’t try to use the player until the "Welcome" screen boots up. A final note about the hard reset: this operation consumes a lot of battery power, with the player having to boot up (a power-consuming operation) and perform a lot of physical disk access. It’s important, once the hard reset has begun, that it be allowed to finish, or the player could become "bricked" (permanently damaged or even unusable). To prevent this from happening, only perform a hard reset if your player has full battery power (visible as a full green battery icon in the top-right corner of the screen) or while the unit’s connected to mains power via the AC adapter supplied with the player.